Preparing to set up an exhibit for a trade show can sometimes be very challenging and frustrating. You certainly want to put on a great display to present yourself in best possible manner. In order to be well prepared, you first must learn about all the specifics of the convention where you will put the exhibit. When you know the layout of the area then you can better plan your exhibit. Be sure to find out how big or small the space will be, whether there are enough electrical outlets available, as well as other important details. Make display table visible by using a tablecloth along with nice images and attractive color schemes. That will make it stand out among the rest and will make visitors curious to see what you have to offer. Arrange the display table in such a way that it looks attractive for the visitors. Also use a nice presentation board, on which the visitors will read more about the benefits of using your products and services. Include pictures and logos with your company name. 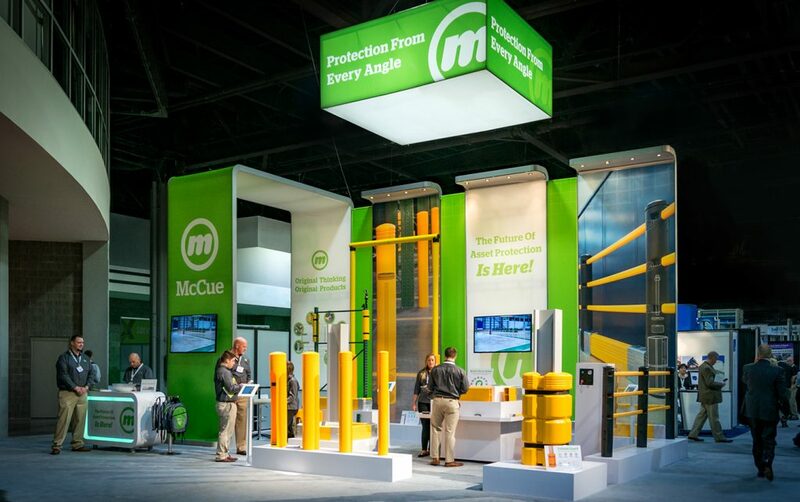 Use slide shows, pictures and videos to draw attention to your booth. By displaying videos on monitors you are guaranteed to draw attention, because videos and slide shows are much more effective than plain text. If you do not have such equipment then a good idea would be to rent it because it will pay off eventually. Make sure you use social media platforms for promoting your booth. That way you will let potential customers know that you are participating in a convention and you can invite large number of them to visit you. Good thing to do when setting up an exhibit at a convention is to prepare giveaways and gift certificates for your customers. Always have handy brochures, flyers, business cards, magnets, pens and other things with your company name printed on it. Give these to people so they will remember your name and things you offer. Gift certificates are always very attractive for people and people will surely come back to you if you give them something for free at first. Make sure you create a portfolio with your previous work as part of your exhibit. Print off some of your top work you have previously done and show it to people. Make it easy for visitors to flip through pages and see what you have done. Another good idea is to have an assistant that will be there to help you in greeting potential customers. Finally, always be the first to welcome visitors to your exhibit. By being friendly and welcoming you are showing that you care for your customers and people will definitely respect that. Even simple `hello’ or a short welcoming speech can boost your reputation and credibility and will make people return back to your products and services.